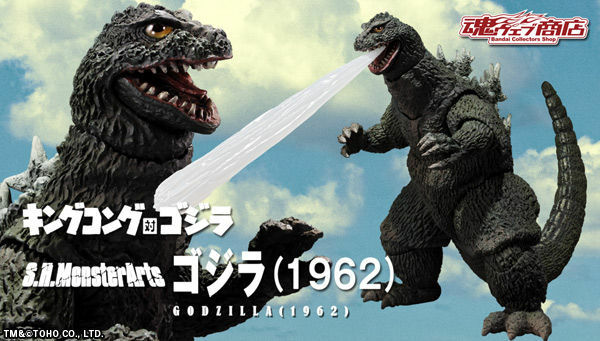 Godzilla (1962) that appeared in "King Kong vs. Godzilla" appeared in S. H. Monster Arts. Three-dimensional form by coloring and coloring that imagined a fierce scene at the foot of Mount Fuji. Furthermore, a ray effect that imaged impressive Showa-specific light was attached! One of the best Godzilla designs perfectly replicated.